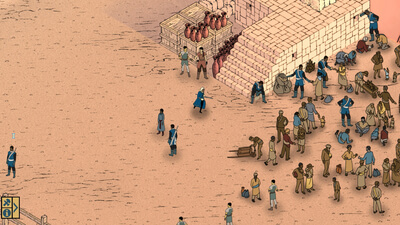 Tahira is inspired by real-world travels through The Middle East, Nepal and India. We wanted to explore how the destruction of an influential civilisation would have ramifications that lasted for thousands of years. In Tahira's world you'll encounter relics from the past. But you'll also encounter ideas and philosophies that have developed as a reaction to the destruction of a galaxy-spanning empire. The people who live in Tahira's world can still feel the distant memories of a greater time and those memories reach from the past and cast themselves as a shadow over all that remains. It is our hope that we've made a game that captures the excitement and adventure of going on a journey, but one that also reflects on some of the harsher realities of life in an honest and interesting way. I'm so torn on Tahira: Echoes of the Astral Empire. It's easily one of the most mechanically sound entries into the genre I have played in quite some time, but it barely lets the players experiment with its mechanics. It feels like having some of the best tools on the market and no supplies to build anything with. 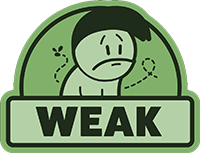 That being said, many of these issues can be addressed and fixed with future episodes. Tahira's debut adventure, however, just left me wishing for more without really filling my belly. 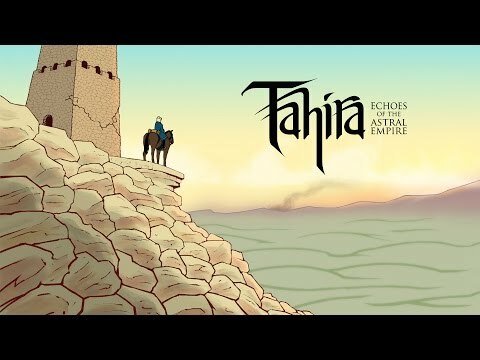 Tahira: Echoes of the Astral Empire is a niche title. It is for the people who enjoy learning deep systems, aren't too hung up on narrative imperfections, and want to unleash some justice. This will clearly not appeal to everyone, and many will find the barrier of entry simply not worth for what waits beyond. As for the rest, here lies an interesting and compelling tactical RPG, if there ever was one. 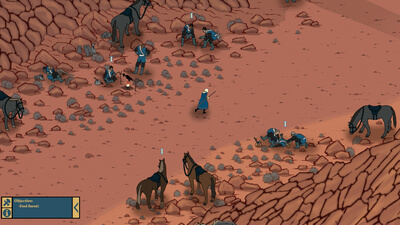 Tahira: Echoes of the Astral Empire is a well-designed game, despite its brief length and limited scope. Its morose story is illuminated by characters who laugh in the face of death. Every battle is hard-won, and every victory feels like the result of a heroic feat, even if it leaves you with little to celebrate. All in all, the game is a fine little indie game of tactical decision-making, just don't go in expecting depth and length rivalling a Fire Emblem game.